Yasir Broast serve broast chicken and other menu items. 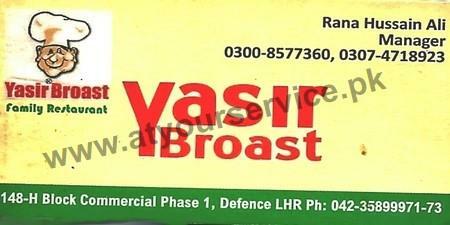 Yasir Broast is located in H Block Commercial, DHA Phase 1, Lahore. It serve broast chicken and other menu items.